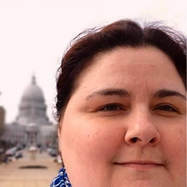 Tricia Louis is an #edtech advocate. In her position as the Technology Integration Professional at the Richland School District, she brings individual & group training to the 200+ staff employed there. Tricia is proud to be a part of the Google For Education Certified Trainer Program and is an Apple Teacher. Tricia is also an ambassador for #edtech applications/devices such as Seesaw, Ozobots, MakeyMakey, and more. Tricia shares her passion for edtech at conferences and EdCamps all around the upper Midwest. In her personal life, Tricia is a musician in several local groups and she also enjoys travel and photography as her hobbies. This session will get you fully emerged in several different iPad tools that will spark creativity in your classroom. No matter the content area, there is “an app for that” that will allow students to take ideas/thoughts/concepts and transform them into learning that is truly personalized. Apps that will be covered are Tayasui Sketches School, Shadow Puppet EDU, Apple Clips, Chatterpix Kids, Draw and Tell, Green Screen by Doink, Stop Motion Studio, iMovie, Stage Pro, TechSmith Capture. ​Throughout this session we will explore tools that focus on maps and how to use maps and other geographical based information in any content area. Tools that will be shared throughout this session will be Google MyMaps, Google Tour Builder, Google Earth, Google Tour Creator & Poly (along w/Google Expeditions), Google Story Speaker, GeoGussr, and GeoGreeting.